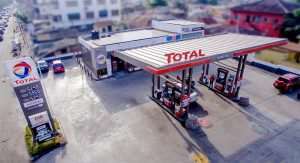 Total Petroleum Ghana Limited has converted its service station at Korle-Bu into a solar-powered station in Accra. The Total Group is committed to a global solar program and is aiming to equip 5,000 service stations with photovoltaic solar panels around the world. The project is fully aligned with Total's ambition to become the responsible energy major committed to developing solar power. “The solar-powered stations represent Total's commitment towards energizing communities and fostering sustainable development. It also illustrates the company's dedication towards ensuring environmental sustainability, innovation, and premium customer service” said the Managing Director of Total Petroleum Ghana Limited, Eric Fanchini at launch of the project. 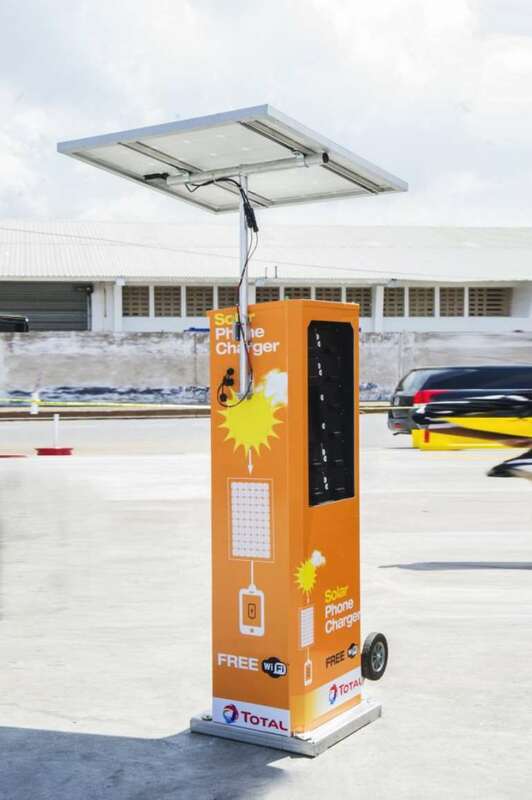 In addition to the solar station, the company introduced solar kiosks to selected service stations in Accra in 2018, to provide customers with easy access to phone charging and WIFI connection. The wave of renewable energy started in 2015 with the introduction of 100% Total solar lamps which are accessible at all TOTAL service station shops nationwide. Since Total Petroleum Ghana Limited inaugurated its three solar-powered service stations, namely, TOTAL Tema Main Harbour, TOTAL Takoradi Airport Junction and TOTAL Miles 4 in Kumasi, it has been able to reduce its operation cost thus decreasing the pressure on the local grid and exploring the potential of solar energy. The four solar-powered stations were constructed and maintained by local engineers and solar experts. “As a responsible industrial player, Total takes action to develop new energies that are efficient and environmentally friendly, and it is our resolve to contribute to local development and environmental sustainability. This is equally central to the modernization of our service stations to bring convenience and quality products and services to customers” Eric Fanchini said. 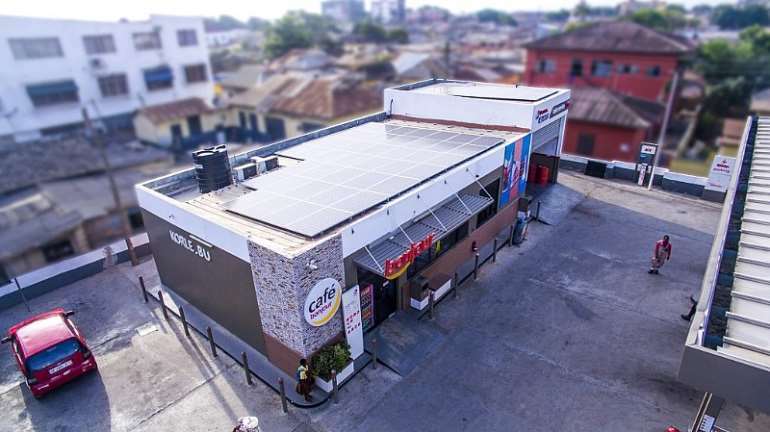 The Total Korle Bu solar-powered station is an integral part of efforts to reinforce Total's network identity with a resolutely contemporary image and installations that are more energy- efficient and outlets that blend harmoniously into the environment. The photovoltaic panels of 18.5 kWp on its forecourt roof convert the sun’s rays into electricity. This electricity is used to supply renewable energy to power the entire service station. “Its eco-friendly design, transparent canopy, earthy and neutral color tones, and green area creates a warm and welcoming environment for our esteemed customers. Whether customers fuel, service or wash their cars or simply get cold drinks at its Café Bonjour shop, they are partnering with us to build a more sustainable environment. The establishment of this solar- powered service station depicts Total's dedication to continuous improvement and the establishment of an identity related to constant innovation that sets us apart in the downstream petroleum sector. We plan to roll out other solar-powered service stations in the nearest future” Eric Fanchini added. Established in 1951, Total Petroleum Ghana Limited is a locally listed oil marketing company with over 4700 Ghanaian shareholders. The company has a retail network of 251 service stations across the ten regions of the country with activities spanning the Aviation, Bitumen and Mining businesses. The company provides expertise on engine performance and reduction in fuel consumption through premium quality fuels, lubricants and car care products. Total Petroleum Ghana Limited is ISO 9001:2015 certified and its respect for quality, standards, achievements and safety has propelled it to the forefront of the Ghanaian Petroleum Industry. The Marketing & Services division of Total develops and markets products primarily derived from crude oil, along with all of the associated services. Its 31,000 employees are present in 109 countries and its products and services offers are sold in 150 countries. Every day, Total Marketing Services serves more than 8 million customers in its network of over 14,000 service stations in 62 countries. As the world's fourth largest distributor of lubricants and the leading distributor of petroleum products in Africa, Total Marketing Services operates 50 production sites worldwide where it manufactures the lubricants, bitumen, additives, special fuels and fluids that sustain its growth.